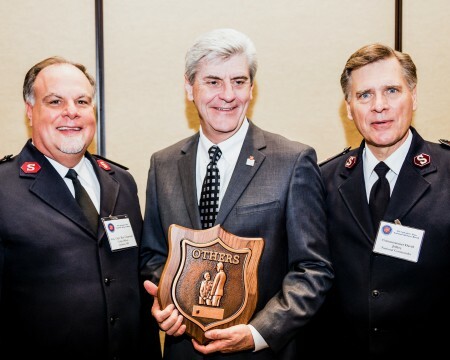 Today, The Salvation Army recognizes individuals and organizations who display extraordinary service to others with the “Others” Award. 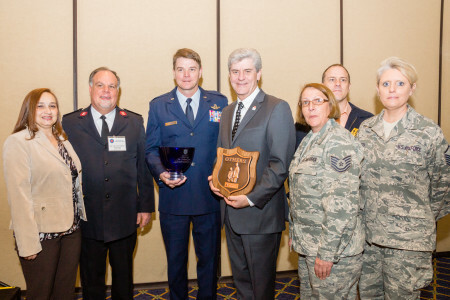 The timing couldn’t have been better to present the latest “Others” Award to Mississippi Governor, Phil Bryant. With the National Advisory Board in Jackson with most of the national leadership, Commissioner David Jeffery surprised Governor Bryant with the award at a leadership breakfast to kickoff the NAB’s meetings. “Your life and the life of your wife are about serving others,” said Commissioner Jeffery. Governor Bryant serves on the Jackson Corps’ advisory board, rings the bell at Christmas, and helps packs toys for Angel Tree recipients. 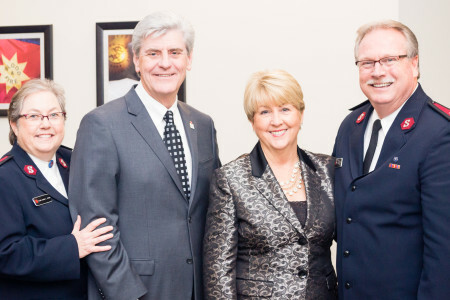 As Governor, Bryant is working hand in hand with The Salvation Army and other faith based organizations to educate teens about waiting to have a baby until they are married. He says the program has led to a 15% reduction in teen birth rates in the state. 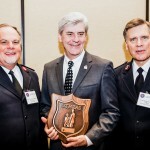 Governor Bryant says The Salvation Army’s promise, “Doing The Most Good” rings true in his life as he serves the state of Mississippi as governor. 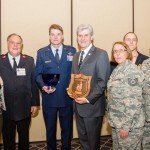 “I’ve got to continue to earn this award, keep working for the Army and earn the award by doing the most good,” said Governor Bryant. In the Governor’s office, on his desk, Bryant says he has two very important reminders for his daily life. One is the bible, but second, is The Salvation Army’s promise to everyone who might need us, four simple words….Doing The Most Good. 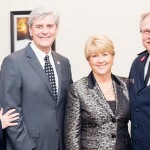 “It reminds me what we are here for, praising god in every way we can, and helping others,” said Governor Bryant. The Jackson Corps’ Commanding Officer, Captain Ken Chapman, summed the presentation of the “Others” Award best. “No other person I know deserves that award more,” said Captain Chapman.